Alright volunteers! Be patient we are in a holding pattern…Our dearest Kim Berg has left. That leaves me here holding down the fort until a new Volunteer Manager is hired! That means while I will try to answer all emails and address all concerns in a timely manner…I do ask for your patience! At any rate, welcome to your newsletter! Here is a brief overview of what we have going on here for the next little while and what you can do to help! 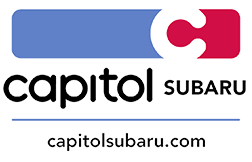 Capitol Subaru has invited us to a mile loop walk in September. Mutts for a Mile is Thursday, September 17th from 5 – 7 p.m. at Capitol Auto Group. We need five volunteers ASAP!!!! Four will be stationed around the mile loop. One will take/sell tickets for wine/beer. If you’re up for spending a cool (hopefully!) evening outside, please email Meredith.kuhl@whs4pets.org. We’ll meet at Capitol Subaru at 4:30/4:45. Refreshments will be served. If you can’t volunteer, bring your pooch for a short walk. Are you ready to move up to your Red Tag?! Call Meredith at503-585-5900 ext. 304 or email meredith.kuhl@whs4pets.org. Are you Ready for Bowser's Boo Bash?? Check-in/Data Entry/check out (4:30 p.m. – 9:30 p.m.) Computer stuff! Friday September 25th we are hosting Yappy Hour here at the shelter from 5-7pm! Bring your dog and your friends, and your friend’s dogs. Bring your refundable bottles and cans for DIG. We are so thrilled to get sound reducing materials for stray dogs but in order to do that we need some funds! DIG is going to help pay for that so bring your cans and bottles, ask your friends and neighbors as well. Bring them with you to Yappy Hour tomorrow! Donations collected at Yappy Hour will contribute to the cost of these materials as well. Yappy hour needs playgroup volunteers! If you are interested contact volunteer@whs4pets.org for more information and to get signed up! Chemeketa Professional Dog Trainer Classes start 9/28 and registration fees are on sale! Click here for more information or talk to Catherine, our Behavior Program Manager, who is also the instructor of these great, dog-nerdy classes! Does your dog need fine tuning? If your dog is a rock star at home but could use a little polish when you are out on the town, come join us for WHS’s Community Canine class! It is six weeks of real world, fun practice of important skills like polite greetings, walking nicely on leash, impulse control, and much more that will make taking your dog places so much more enjoyable and relaxing. Before you register online, ask Chelsea about your volunteer discount! See you there! It was 5 years ago that Terri Ellen took the plunge and opened Nature’s Pet Market, Salem’s only health food store for pets an Sunny Paws Grooming. While friends, family and coaches were cautious, ok, highly skeptical, this wacky woman did it anyway and right in the middle of a recession. It was time to follow her passion and she says she had no choice, she was compelled to do it. With the help of many people, employees, Salem businesses, coaches and Salem’s pet loving community Nature’s Pet Market is celebrating 5 successful years with the hope of many more to come. As you might know they love to get the community together for good causes. We hope the community will show up by the thousands to enjoy our celebration for a good cause! The 5th Anniversary celebration is on Saturday, September 19 from 11 am – 3 pm. 10% of all proceeds on the 19th will be divided between the Willamette Humane Society, Salem Friends of Felines and Marion County Dog Shelter to help them do the wonderful work they do in our community! -at 1 pm we will hold a 1st Annual SunnySlope Pet Parade with prizes. All pets welcome! -at 2 pm Ute Luppertz, Pets Point of View will hold a Bless the Animals ceremony. -Ute Luppertz, Pets Point of View will hold private Pet CommunicationSessions. Find out what your pet is thinking or trying to tell you. Are you listening? -Face Painting for the kids, oh adults too!! Playgroup is when the dogs can be dogs. They run off leash, sniff and poop and pee where they want to, establish social connections with other dogs and where we can evaluate them for sociability with other dogs. Playgroup is critical for our dog’s mental and physical well-being. Runners, Scribes and a playgroup lead (Wednesday) are needed for 8-10am shifts weekdays. Training provided. Not sure? Drop in and observe! Playgroups happen 8-10 am every weekday. Don’t forget the counter is no place for dirty stools and garbage can lids! Every time they’re plopped on a clean counter, it has to be re-sanitized! What a waste of valuable time! Don’t forget to put your WHS pet picture up in the big 50! Its so close to being full! We are aware there is not as smooth a system as there could be around this procedure. Walkers and Kennel Buddies please do not visit new dogs. READ what your team captains send you each week. We are working to make sure that the signs for the new dogs are more helpful and clear, but in the meantime keep an eye out for others on your team. Never be afraid to be kind and helpful! Last week’s Kitten Kaboodle was the Cat’s Meow! Yes it was!!! Wednesday with Katie Decker and Vickie Clark at the helm as Leads and Nancy Graf helping handle the daily operations of kitten socializing and operation of the store, they adopted out 4 of the 5 kittens being showcased. A big WOW!!! Saturday our Leads Peggy Stroope, Vickie Clark, and Betty Emerson were hopping left and right doing adoptions. How many you ask–15 to be exact!!! Yowza that’s a lot of adoptions. (LOL) Sierra Ward, Rebecca Wilson, Rachel Pilliod, and Dell McCann were busy keeping the store running in smooth order. Rebecca even jumped in to help with adoptions. I heard there was another guy there—so sorry I don’t know who it was. THANK YOU!! Yessss, Saturday started out with a couple snags but ended with a bang. Nice job everybody!!! Sunday also brought more terrific adoptions with Katie Decker as the Lead and Sierra Ward, Rebecca Wilson, and Janine Catalino assisting in every possible way, even with adoptions. There were lots of inquiries about kitten adoptions details, counseling for prospective new families, and also introduction to current pets and readying the home for new kittens. That’s always important to make sure they are truly ready for a new kitten. Then they adopted out homes to 4 adorable kittens. Wednesday: Tater, Peppermint, Dracula, and Cheshire. Saturday: Daisy, Phillip, Nancy, Anabel, Gatsby, Lillith, Belle, Toe, Julius, Merida, and Scout. The BOGOs were: Basil & Oregano (to same home) and Sparky & Asher (to same home). Sunday: Sir Geoffrey, Legit, Turner, and Aurora. Total kittens that found new homes this week is 23. BJ has really gone above and beyond by stepping in and taking a leadership role at Kitten and Kaboodle! She is organized, kind, helpful, a great communicator, and supportive of all the volunteers and yesterday she took the time to walk Isabelle through how to ring up something at the cash register. It would have been so much easier for her to simply take care of the transaction herself. She is a natural teacher and a great role model. She has excellent customer service and management skills and she intuitively understands cats and kittens. I have learned a tremendous amount about cats working with her and I hope she receives some recognition for all she does!